These codes are embossed, similar to this example, onto the paper used for particular limited edition prints. 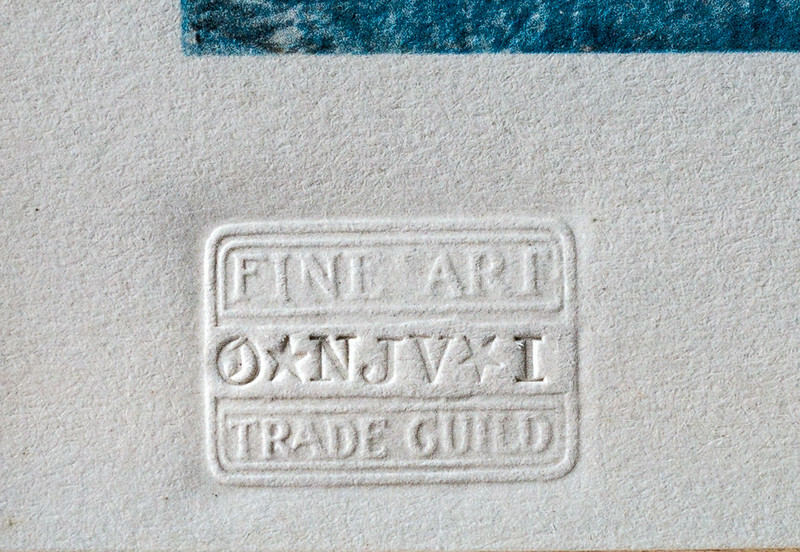 The Fine Art Trade Guild hold records of all the print codes used since 1847 and can provide information about any print which bears their code. These codes are only embossed into limited edition prints which meet the standards set out by the Fine Art Trade Guild.